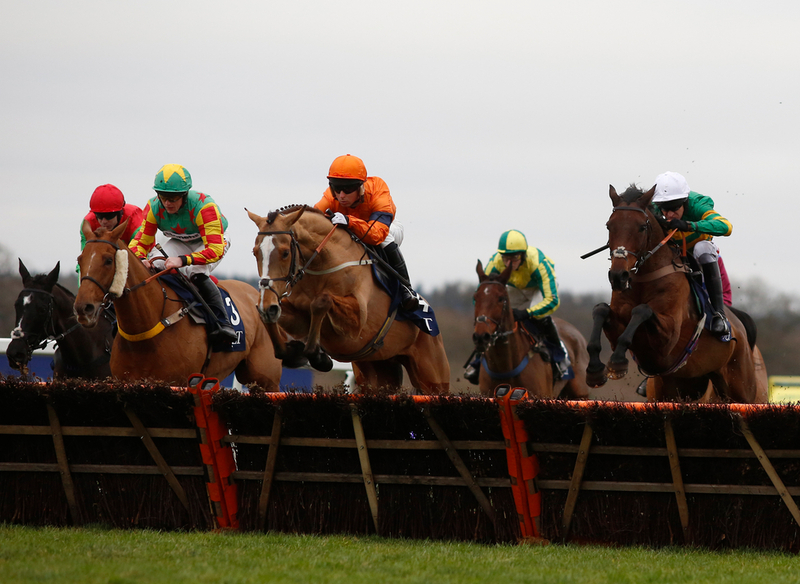 The Lanzarote Hurdle is a Handicap Hurdle contest, run at Kempton Park over a distance of about two miles and five furlongs. During its running there are ten hurdles to be jumped, and is run in memory of the great racehorse 'Lanzarote' - the winner of the Champion Hurdle in 1974. Lanzarote also had a particularly good record in races at Kempton, and he twice won the track's leading hurdle event, the Christmas Hurdle. Last year, William Henry recorded a third success in the race for trainer Nicky Henderson at odds of 7/1. Spiritofthegames finished second, with the early pacesetter Red Indian back in third. This year, the Champion Trainer has two names bidding for Listed glory in the Lanzarote, with both Doux Pretender and Pacific De Baune. Doux Pretender failed to land the hat-trick in Grade 2 company at Cheltenham last time, so a drop to this level should see him back in contention. Pacific De Baune was last seen racing here the day after Boxing Day, and disappointed punters as the 3/1 favourite before the off. He was plugging on towards the finish, so perhaps a step up in trip could be what he requires. Erick Le Rouge was also most recently seen at the Sunbury track, when he landed the final race on King George Day (32Red Download The App Handicap Hurdle). Chester Williams really got a great tune out of the 4yo (now turned five) on Boxing Day, and looked to have a sea of challengers on the crown of the bend for home. Erick really fought them off from the front, and responded to his jockeys urgings on the flat to go and win the race, which also more significantly landed the hat-trick, after good wins at Warwick and Bangor. Trainer Mrs Jane Williams certainly has one individual climbing the ratings - who is now rising again, this time into Listed company but he is not short of ability whatsoever. You could argue that is the same case with many others of these, including Star Of Lanka, Cotswold Way and Kloud Gate. Warren Greatrex has issued that Star Of Lanka is in top form ahead of his plunge into the Lanzarote field. Both of his wins over hurdles have come at Hereford, after finishing fourth in a top maiden at Sandown. Cotswold Way likewise is really racing at his peak, and is unbeaten this season in three starts. Kloud Gate finished a long last in the Cesarewitch at Newmarket on the flat in October, but has responded with two wins in small-ish field over timber in December. Other names to mention - Mr Antolini will carry top weight after his win at Sandown in a Grade 3 back in March of last year, Paul Nicholls' can rely on Darling Maltaix to follow up his smart looking Ascot win and will be surely held up for another late challenge, whilst Canyon City looks a solid each-way bet for Neil King, after placing in all of his last five races - winning two of them. All of the winners of this contest since 2002 had won a hurdles contest before. Fifteen of the last seventeen winners had raced in the last six weeks, with seven of those winning last time out. However, twelve of the last seventeen had NEVER won a hurdles race over 2m4f or longer before. Fifteen of the last seventeen winners were aged seven or younger, with ten of those being aged six. Being a handicap, weight can always prove decisive. Ten of the last seventeen winners carried 10st11 or less, with two more winning by a distance of three lengths or less. All bar three of winners of this contest since 2002 returned at 10/1 or shorter in the betting, with five winning favourites - nine of which placing. All bar five of the last seventeen came from the top three in the betting. Six winners of this race in the last seventeen years had run at Kempton before - five of which winning, and twelve subsequent winners when onto run at that season's Cheltenham Festival; sadly with no winners. Nick Williams, Paul Nicholls and Nicky Henderson - all with chances this year, have all recorded three winners in the past. As has Gary Moore, but he has not achieved success since 2007. The average winning SP in the last 9 runnings is 6/1.